Sell Your House Fast In Forest Acres, SC. We Buy Houses For Cash. Are You Thinking That You Need To Sell Your House Fast? You Can Have A Fair All-Cash Offer In 24 Hours Because We Buy Houses Fast – Any Price Range, Any Condition, Any Reason. Imagine getting a fair all-cash offer this week and then walking out of closing in less than 30 days with cash in your pocket. If you are in a tough spot, then we can probably help. We help people by buying their property quickly. No pressure. No hassles. No long waiting. No commissions. Basically, if you want to sell your house fast then we’d like to give you a fair written offer to purchase it. And you won’t be asked to clean or paint or repair anything because our crews will do all that. How to sell your house fast in Forest Acres, SC. Even if an agent can’t sell your house fast, we can help. Using a real estate agent to sell a house is not for everyone. It’s tough to find an agent who you can trust, who works hard and is not just trying to list your house to get more commissions. Where does that leave you? Well, you could try to sell your house fast yourself – FSBO (For Sale By Owner). You would be responsible for paying for advertising. And you would have to take phone calls from strangers asking a bunch of questions about your house. You can get a fair all-cash offer to sell your house fast. No matter the reason you want to sell. No matter your time frame. And no matter the condition your house is in. We buy houses in any condition and any situation and any circumstance. We are professional real estate buyers. We do not list properties. We buy them. You won’t be charged fees, in fact, we’ll even pay the closing costs. We have removed the barriers so you can sell your house fast. There are a lot of companies who buy homes quickly in Forest Acres so what makes us any different? We can help by giving you a fair written offer to buy your Forest Acres property. Our crews can do all the cleaning and repairs and painting that it may need. You get cash at closing and will no longer be tied down with that property. IIf you have a property that has become a hassle to own, then let us give you a fair all-cash offer to buy it. You can bypass the long waiting time that comes with listing it with a real estate sales agent. And we buy houses “As-Is” so you won’t have to do any repairs. You can talk to someone at our office by calling 803-592-2353. 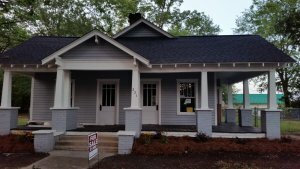 Can You Get Your House In Forest Acres Back After Foreclosure?